It's a good question, and I can tell you exactly what it is. It's the answer to almost every problem Lodges are having today. Masonic education is why most of our new members joined in the first place, and one of the last things they'll find in a many of our Lodges today. Men petition our Lodges because they are seeking something. They want to belong to an organization that shares their values. They want to be more active in their community. They want to learn to be a better man by improving their character. They want to take part in the time honored traditions and ancient teachings of the Freemasons. They want to live their life to a higher and more noble standard. 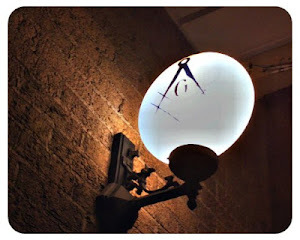 And the expectation when they join is that they are going to receive instruction on these things from the Freemasons. That's certainly why I joined. I even went through the traditional way, and spent months memorizing the catechisms and the obligations--I don't learn quickly, and it was a huge challenge. 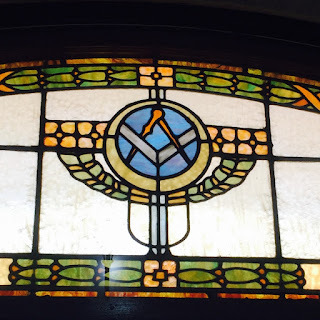 I saw beautiful degree work, heard wonderful lectures, and when I was finally raised a Master Mason I considered it one of the most important accomplishments in my life--right up there with baptism, marrying my wife, and the birth of my children. And then I attended my first regularly stated meeting. There were no deep discussions of Masonic principles at that meeting. Nor at the second, or third, or fourth meeting. I finally asked, and I was told there were meetings I could attend if I wanted to learn more about Masonry. I did, so I found out where and when those meetings took place, and I went. I learned how to carry a rod, and how to turn a corner, and what hand I should use when I open a door during a degree. I learned the proper way to open the Bible. I even learned in what order to turn on the lights beside the altar. It wasn't Masonic education, it was ritual instruction. Other than what was contained within the lectures of those three Masonic degrees, there was no additional Masonic education offered in my part of the world when I became a Mason 11 years ago. And that's exactly the way it is in many places. And that's why I've worked so hard to bring that education component back into the Lodges. I said earlier that providing Masonic education was the answer to almost every problem Lodges are having. I can tell you without hesitation that's true. We need membership. The fact of the matter is there is no better recruiting tool than members who are enjoying themselves and learning new things. They talk about it. They get their friends to join. I've seen it over and over again. Case in point is a brand new Chapter of the Royal Arch in Illinois I'm a member of--Admiration Chapter. This is a chapter that focuses on Masonic education. Every meeting we have a very short business meeting, and then an education component--a speaker, a discussion on a topic of interest that is announced in advance, a table lodge, a presentation, etc. You know what Admiration Chapter doesn't have problems with? Attendance and membership. We have great turnouts, and we continue to add members--and we're not recruiting new members. We don't need to recruit, because they are coming to us. That's pretty impressive considering Admiration Chapter hasn't even received a charter yet--we're still operating "under dispensation" of the Most Excellent Grand High Priest of Illinois. We've completed the necessary requirements at this point, and we'll get that charter in the next few months. Do you want to talk about member retention? Members just stop showing up, right? Or you get a new Master Mason in your Lodge, and he comes for awhile, and you don't see him again. Just drops out of sight, and your members wonder why. Sound familiar? I can tell you the most common reason why. Your meetings are boring. It's not what the new Mason thought it was going to be, probably because he thought he'd continue to be learning things instead of talking about how the Eastern Star ladies are using our coffee and not replacing it, and if we're going to resurface the parking lot or just fill in the potholes. That's not why those men became Masons, is it? Money is an issue, too. There's two reasons for that--most Lodges dues are too cheap. That's a separate, but related issue--before you can jack up your dues you're going to have to offer more than getting to sit in a room once or twice a month and listen to somebody read the mail. But if we could fix some of these obvious problems and we filled our buildings with Masons, we'd have more money, wouldn't we? And the more members we have in our Blue Lodges, the more Scottish Rite Masons we have, and the more York Rite Masons we have, and the more Shriners, etc! I've been beating this drum for a long time. New members want education. The success of the Midnight Freemasons in itself is evidence of that. The success of Lodges and bodies that are beginning to focus on education again is evidence of that. If we continue to do the same things, we can continue to expect the same results. The ritual is an important part of who we are as Freemasons--it's one of the things that make us unique. Learning ritual is not Masonic education any more than learning to drive a stick shift qualifies you as an auto mechanic. We talk a lot in Admiration Chapter about enhancing the member experience. What we mean by that is offering our members what they wanted to begin with--a place where we could learn from each other, talk about values, learn more about what Freemasonry has to teach us about how to become better men, better husbands, better fathers, better citizens. So if you're where I was eleven years ago, seeking further light where none exists, what do you do? Well, that's what we're going to talk about in this series. Brother I can't begin to tell you how so very true your article is. The points you brought up are the same ones my lodge is struggling with. Our stated meetings are no more then business meetings. I look forward to your coming articles brother. I congratulate you on your efforts in Masonry! That said, I have read and heard the same "tune" before. My comment is; "where's the beef?' It is very difficult to find websites or lodges that take your comments to heart. In fact, I haven't found one is 40 years of Masonry! Advanced degrees. Just more ritual. A book that creates more questions than it answers in the Scottish Rite. Degrees in the York rite, but again except for the emphasis on Jesus Christ, just another "Lodge" meeting. I again ask: "where's the beef". I'm going to talk about that in the next piece. To give you a preview however, if you want change, sometimes you have to be the change. I took it upon myself, and it wasn't long before many more joined me. And we're just getting started. That's how this blog started, too. There are now well over 1,000 pieces on here. I've always been one to believe that if you want to see something changed you can't wait around for other people to do it. The Master Craftsman courses were a good start - since the first one covers the Blue Lodge, I buy it for all the guys I mentor Mentoring, by the way, is what every guy I have talked to says was the most important factor that led to his regular participation in Lodge - the MC1 (Blue Lodge course) gives mentors a tool to use after their mentees are done with their proficiencies. We also started a Lodge-level research group and have quarterly "lecture dinners" where our guys go up and give presentations while the audience enjoys a five-course meal. In the Scottish Rite, we started a Knights of Saint Andrew Chapter that focuses on education, service (Valley and community), service leadership, VMAP, and bringing guys together from different Masonic Bodies. We have a "squireship" program for new guys, and every new member gets his own mentor who is responsible for helping him along. We have qualifications which include completion of every Master Craftsman program in addition to activities which have the squire actually apply what he learns in the "real world." For my own personal project, I started an online course for the Scottish Rite. It quickly grew and I had to recruit guys to help out. Even though it's still in beta, we have guys from across the country participating in it and providing us with feedback. I hope the ideas above can at least serve as suggestions. What really must be emphasized, however, is exactly what Bro. Todd said: sometimes you have to be the change. Make the Lodge, Scottish Rite, York Rite, etc. into what you wish it was when you joined. Do it for the new guys, being sure to listen to their ideas, involving them, and supporting them. Through service leadership, I have learned a ton and I can honestly say that it's a great way to apply the lessons we learn in our ceremonies. Are there any guidelines es to drive these meaningful discussions at a Lodge Meeting? We're definitely in the ritual/minutes/pay the bills Ruth. Attendance and membership reflect the prediction in your article. My lodge meeting seem to be only a meeting of drinking buddies who get together outside the lodge and then talk about their adventures at lodge. the meetings are long and boring and the Masters in many years seem to not know how to run a meeting much less ever heard for Roberts Rules of Order. As in all such venues, the "click" are the ones that get promotions some skipping chairs and being elevated because they enjoy a good Beer. I stepped out of a chair to assume the duties of our Chaplin for two years after he had medical problems and I was never put back into a chair. I was replaced without consultation or even a phone call. Instead of looking to advance I now just pay my dues because there is nothing there for me. Same old, same old. Variations on the Dwight Smith theme and nothing more. There is a certain arrogance in presuming that the difficulties Freemasonry is experiencing can be so simply explained. The problem isn’t a uniquely Masonic problem. It’s evidence of a societal paradigm shift. Learning ritual is not Masonic education? Where does Masonic education begin absent the ritual? At a Widows Sons biker rally? At a Civil War re-enactment? How about a St. Patrick’s Day celebration? Where can we begin other than with the ritual? The ritual is very much like a somewhat vague syllabus, but the course content is personal - autodidactic, if you will. How can it be otherwise? Fleeting glimpses of significance come with the internalization of the ritual, but how many are willing to make the effort? I’ve known lodges that require mastery of the lectures and charges before they can be qualified to be in lodge. What do we require of our candidates and members these days? A pulse. I didn’t learn how to operate a stick so I could became an auto mechanic. And how many Lodges are teaching what that ritual means? Not many. I run into this attitude all the time. It's not that difficult. We're not providing our members with the education they thought they were going to get. So they don't come. It's not that hard. And I'm not writing theory I'm writing fact. I'm watching Lodges come back to life. I'm in a new chapter of the Royal Arch. I was the charter President of a new High Twelve (education and fellowship at the core). The Midnight Freemasons. The Whence Came You podcast. The Masonic Roundtable. All wildly popular with who? New members and potential members. Robert Johnson and I estimate we've referred more than a thousand inquiries to Grand Lodges over the last four years alone. I couldn't guess how many in the six or seven prior to that. So we can sit here and say society has changed, or we can have a look in the mirror and realize why our chairs are empty. And I've been called worse than arrogant over the last decade... people tend towards name calling when you prove them wrong over and over again. I've been hearing/reading the same mantra ad nauseam since Hodapp and the Knights of the North published "Laudable Pursuit." How many Masons know what the ritual means? Does it mean the same thing to all Masons? FWIW, my use of the word "arrogance" wasn't intended to be taken ad hominem. If you can get past that, then let's do discuss where Masonic education begins. Perhaps the reason for that is that Hodapp and the Knights of the North are absolutely correct. This is Part 1. I'll be expanding on the topic as we go along. I'm only too happy to discuss the points so long as it remains civil and respectful. Whether your comment was meant to be taken ad hominem or not, it is unnecessary to use charged language during polite discussions. Dwight Smith got it right. On "Laudable Pursuit" we can agree to disagree. 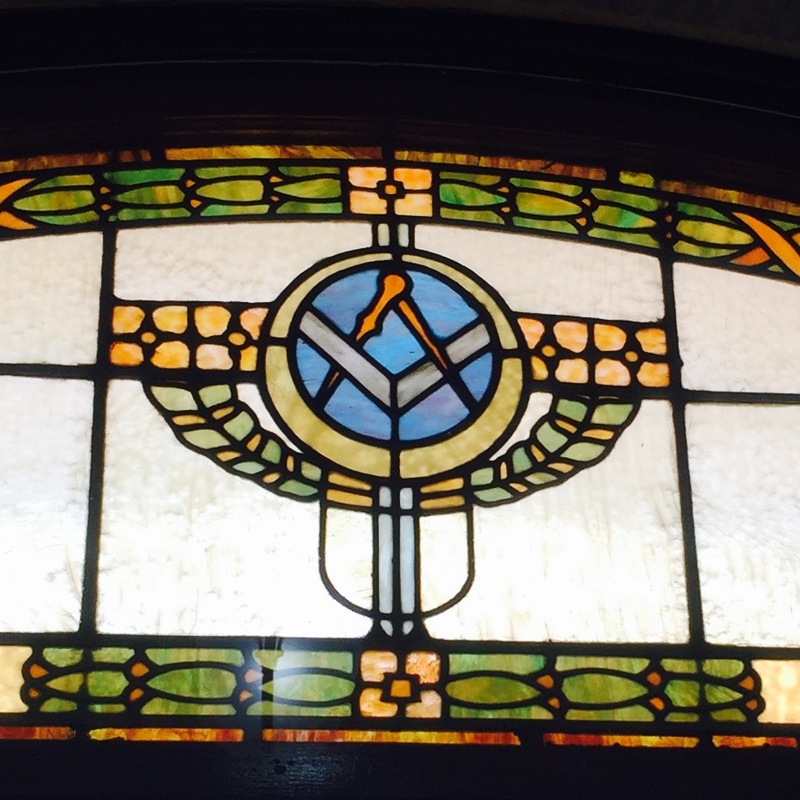 Where does Masonic Education begin, if not with the ritual? More importantly, you suggest you know exactly what "Masonic Education" is. Please elaborate, because it's a question I've been asking for years. No worries. There is no charge for my language. As I said before, this is a series. How about we discuss it once I've finished the series so I don't have to write it twice. Hi Brethren and fraternal greetings from England. The meetings in the UK seem to be structured differently to the meetings outlined in the replies but I whole heartedly agree in the central theme that ritual alone is not enough to retain and grow membership. It is something I am passionate about but it is like turning back the hands of time itself to change. I have tried reading self education books but they lack the real life feel of seeing it in action.As a relatively new Mason of coming up to 10 years membership one small gem still sticks in my mind and to this day I do not know if it is true but I like to believe it is and it enhances every meeting I attend. At the bar one of the long standing members asked me if I knew why there were the knocks (or gavels) and I replied to obtain our attention? The answer he gave that that was indeed true but it signified that something important was being communicated and to gain the attention of the workers in the quarry in KS time the first knock would sound, this was repeated and as it was heard then again the West and repeated the workers would stop their labours and listen. It always contours up a special is ion for me but to how may Masons do the knocks simply signify listen or worse still that's what ritual demands? It looks like our brother and narrator is trying to run with his charge. Far from belaboring his point, we should rally behind the fact he is standing upright to make one. I feel certain he said it right when he spake, "Be the Change!" For If you won't be the change, I dare say others stand to do it for you. These might be conceived dark times, and light might only be had by those who ask, seek, and knock. So I challenge any and all who might read these words - Ask, Seek, and Knock that the door you seek may be opened unto you. Last, might we praise God there be no charge for Brother Dion's language, because there is certainly very little charge in them. I say this, because if not else I certainly agree: Masonic education begins in the ritual. Which upholds Brother Dion's point - Ritual always seems to conduct a charge with its appendant lessons, all of its own accord. And certainly our problems may not be so easily explained. But then again they might, and at least then, we are on the road again East to more light and the remedy our humble and far from arrogant narrator has had the courage and foresight to seek. I for one, respect all brothers input whether ye be an author or a contributor, but firmly believe constructive criticism will always bear more fruit than mere gain-saying. William Blake said that without contraries, there is no progression. Bro∴ Michael, arrogance is when the "charge" is directed toward the institution, rather than where it belongs - firmly with the membership. Does "gainsay" require a hypen? "Many are deluded by the vague supposition that our mysteries are merely nominal; that the practices established amongst us are frivolous; and that our ceremonies may be adopted or waived at pleasure. On this false basis we find too many of the Brethren hurrying through all the degrees of the Order, without adverting to the propriety of one step they pursue, or possessing a single qualification to entitle them to advancement. Passing through the usual formalities, they consider themselves authorized to rank as masters of the art, solicit and accept offices, and even assume the government of the lodge, equally unacquainted with the rules of the institution that they pretend to support, and the nature of the trust which they are bound to perform. The consequence is obvious; anarchy and confusion ensue, and the substance is lost in the shadow. Hence men who are eminent for ability, rank, and fortune, frequently view the honours of Masonry with indifference; and, when their patronage is solicited, either accept offices with reluctance, or reject them with disdain." I don't believe my article says or suggests that I believe any of these things. I don't believe it did, either. These things were suggested by Jeremiah How, and his "Freemason's Manual" was written as a sequel to Preston's "Illustrations to Masonry," and I cited it as part of my response to Aaron. Why is it contingent upon Lodges to spoon-feed "education?" Mason, educate yourself ! (sort of a play on Know Thyself). We have been provided sufficient tools and materials to create. The choice of putting them to work is up to the individual. And, for what it's worth, I suggested ritual as the beginning of the education process, not the be-all, end-all.